There is an explosion of dancing zebras in videos posted on the Internet. A recent episode of the TV show “Last Week Tonight With John Oliver” had Oliver talking about his discovery that Bolivia is using folks dressed as zebras to control traffic. He encouraged people to #JustAddZebras in videos to make them more fun. 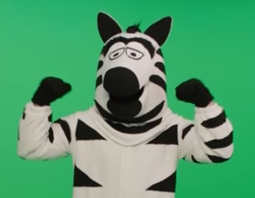 The show released a video of a zebra dancing in front of a green screen that people could use to add to their favorite videos. In 2001, a new program was launched in La Paz, Bolivia. The program used folks dressed up as zebras to slow down cars, assist folks in crossing roads, and stop vehicles at traffic lights. The program is still going on. La Paz is Bolivia’s administrative capital and is the world’s highest capital city. Sucre is its constitutional capital. 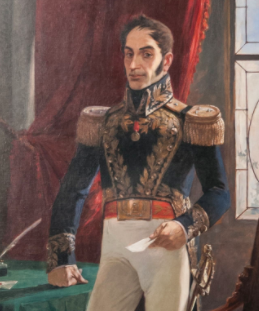 Bolivia is named after Simón Bolívar (image), a political leader who helped several South American countries get their independence from Spain. One of the most dangerous roads in the world is the North Yungas Road from La Paz to an area called the Yungas Valley in Bolivia.